This one was so easy, then it was so hard. I made twelve twenty-round granny squares, using odds and ends from my scraps basket, and it was a breeze, I tell you. It felt like I could’ve done that part of it all at once. Which of course isn’t the point, and why be in a rush, but the grannies call to us, don’t they? So satisfying, that part. The grannies. How beautifully, perfectly simple is the humble granny square. How I love to fill a basket with three dozen different leftovers, and turn them into granny squares, and I love how they are all the same, and yet no two are alike. But of course you understand perfectly. I had twelve squares, and they were great, cheerful and thrifty. I also had about six big skeins of navy blue yarn, and so I thought about it carefully for about a quarter of a second, and using the join-as-you-go method, added one round to each square and worked them together in navy. Okay. All right. Not awful. And it was a blanket, and it was large, and with all the squares joined together, it was almost finished, which is the most tremendous motivation I know for getting a thing all the way done. It needed a border, so I delved back into the basket (which, as you can see there, is finally emptying out) and there was just nothing left. But I am undeterred by such things! No yarn left? That can’t be true, not around here! Not on my watch! I’ll find some yarn in here, yes I will. I dug around and found a whole bunch of uninspired colors that looked terrible together and proceeded. I started working a border involving granny clusters, rounds of single crochet, some rounds of dc, ch1, sk ch1 sp, blah blah…it got elaborate, and it was taking a thousand years because every ten stitches, I’d pull back a little, and look at it. Study it. Stand up and look at it from a distance. And it became clear. I did not like it. The navy yarn was sucking all the life out of it. Still—and this is how lazy I am—I kept going. That sounds like a contradiction, to keep crocheting because I’m lazy, but this was already a blanket, and it was on the fourth side of the last round, a last round of navy yarn done in an improvised and half-baked shell pattern that had four dcs in it, which even as a side issue was bugging me--why four? There’s a topic for another day, the number four. Anyway, it was 99.998% done, and I frankly could have just cut the yarn and woven in the end right where it sat and nobody could have denied it was a blanket, and I did not like it, but the thought of ripping it all out, all the way back to a pile of twelve squares, and then going back and figuring out what to do when I had already visited that problem and failed, just seemed like a hassle. So it sat there for days, and I didn’t want to work on it. I didn’t want to finish it, even though it was, literally, minutes from the finish line. I was gathering my strength, I suppose, because eventually, I knew it had to come apart, and then it did. It took hours. I unraveled ten rounds of border, and then picked out all the ends and unraveled the last round of each square, the ones that had joined them together. It always seems like it’s going to feel awful doing that, pulling something apart that didn’t work and trying again, but it never does. It feels great. It feels right. Why toil for weeks just to end up with something that bugs you? Anyway, I sewed the squares together and added a two round border, one in granny clusters, and one in single crochet. That’s it. So much better. I don’t know why these things always have to be so epic. I feel the same way with frogging, the thought of that time and then having to admit I was right in the first place. And then I take a deap breath and I do it, and suddenly it's a happy project again, I'm happy to work at it. Yummy, yummy, yummy! When I know I have to rip something, I have to walk away from it and stare at it for a few days...just trying to compose myself enough to rip! When I work up the courage, I do the deed! But I typically have to stare at it for a few days! LOL. Your work is always gorgeous and this is just fabulous! Makes me want to go start one just like it right now! Oh Kristen....it's beautiful, yummy, G O R G E O U S!!! so glad you finished it, it looked great either way but I how you feel, I myself have done the same things so so many times! To me, time spent crocheting, even frogging, is never a waste of time. There is something so cathartic about crocheting and its process (yes, even frogging!) that every minute spent on it is worth it! Gosh Kristen..You are amazing! Love it! You work like a machine, Kristen, and always beautiful. I know all too well about "epic"! Your granny sparkles! It's lovely. He is really really small and the knitting was terrible for me (I am not patient at all). At the moment I wanted to make its head on its tummy, I realized I knitted it the wrong way (backwards front)and I got really desperate. But in my case there absolutely was no choice: had to do it all over and pull everything out. And I can assure you I'm very lazy as well (about pulling yarn out after I've done something with it). So that's why I think it very brave of you to start all over again. I don't know what I would have done. But is sure was a good thing to do because now it looks perfect. I like the way you put it that the squares are always calling us because that's what they do. It's fantastic. I know what it felt like, though. My most recent blanket made me want to punch holes in the wall. I didn't think crochet was supposed to be so angry. Hi There, I know the feeling!! !I am doing the same thing right now on my big granny blanket!! !Fourth time!! !But it has to be right, right??!! !No point in making 100s of grannies and spoiling it with a stupid border, right??! 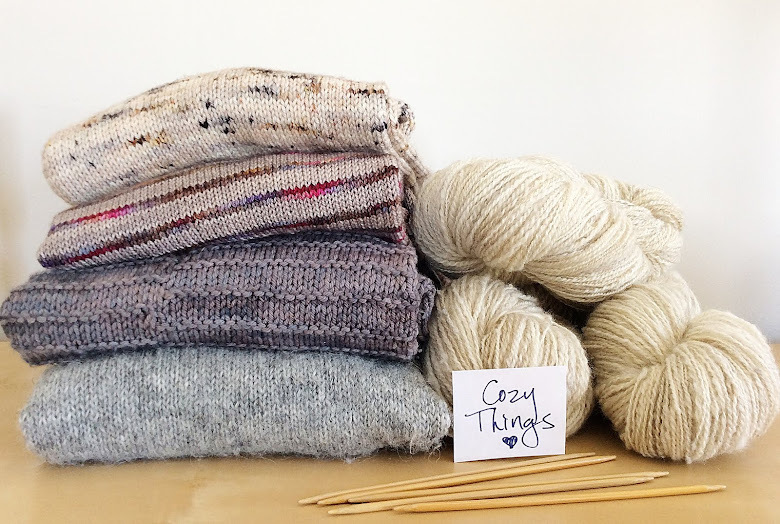 !And seeing your finished blanket just confirm that it is the right thing to do!! !Redo and redo till your happy with it!!! Your blanket is amazing! I have done the exact same thing. Why do we keep going when we know its so wrong? I think you are right, lazy me! Have a great weekend! I always love your colors! I try (unsuccessfully) to emulate, but you truly have a special touch. Just beautiful! I love it SO much!!! It looks perfect now it's all done. How long did it take you to make??? I totally understand- I made a mistake in a sock recently- placed a yarnover in the wrong spot- and only realized it about 17 rows later. I did rip back to fix it, because it would have driven me nuts to know I had left it there out of laziness... Your end result was well worth it; it sings! Yummy! And I love the soft aqua of the chair it is laid on!! Love it, so beautiful and you are right the navy was not letting the other colors breath the way they needed to. Great job, and boy are you fast. You did the right thing. You don't want to be stuck with something you don't feel right about. It's beautiful! I love your blanket, it's lovely. I feel your pain! I too have to pull it out if I am not happy! The great thing is ~ you now have a lovely blanket that you love and can be proud of. Well done. It's beautiful. You were definitely right. It has so much more life to it now. But it must have been a heartbreaking moment when you realised you had to do it! holy mother of god, i cannot BELIEVE you pulled that all out!!! but, you were right! it does look so much better in it's final incarnation! it's beautiful! It's a lovely blanket and if you didn't love the navy then it was the right thing to pull it out. I nearly finished a cardigan for myself but wasn't happy with the way it looked and I pulled it out and started again, it didn't bother me at all, I'm much happier with the way its looking now. Sweet mother of pearl, I would have done the same thing. When you know, you know. But sometimes we have to take things allllll the way to the end just to be sure. Your blanket is completely, 100%, granny goodness of the very best kind. Well done! The Ones who do not get it, who do not ripe and rework are merely going through the motions..
What choice really do 'we' have but to listen and allow the yarn to speak to us.... Only then can we truly be happy! Now Your blanket is perfect! I've a large shopping bag I crocheted for my sister in law - in a coral that she is partial too and final at long last it was complete.... Not loving the color I made many excuses not to work on it as consistently as I might otherwise have done... but finish it I finally did... then for the felting - only to find it had grown in size rather than felted.... Oh Sweet Mother of Pearl after all of this work I discovered the fiber while a blend that did not have a high enough content of wool to felt... I hate this piece..... and have been avoiding frogging this ginormous mess and beginning anew to make things right! Perhaps if I can find some wool in another color to add to this mess it will not only make it more pleasurable to work on but enable the felting process to succeed! You are such a brave and wise girl! Good decision. Your blanket looks gorgeous, it is really a beaut! Congratulations with it! I'm trying to envision the navy blue and I can't so maybe that's good?? I love the end result :) so lovely! What a lovely blanket and you are so right, if it doesn' t work one should take it back apart! I admire your tenacity!! Wow, I love it! I have a bunch of yarn I was going to give away. Now I'm thinking I should just do what you did. Thank you for the inspiration. Your finished blanket looks really beautiful! love it, it looks fab! I'm glad I'm not he only one this happens to! Your blanket is beautiful. Enjoy it! Ahhhh....the epic: well done and well told, Kristen :-) Thanks for posting! Wow... Another glorious work of art. You are so great at putting together the best combinations of color. Your blankets are amazing and just inspire me to no end. Love it. I think it was worth it taking it apart to end up with a final work exactly the way you envisioned it :) I love it! Such a great story!!! And an amazing blanket!!! I've been there too, in fact I'm there now trying to decide about colours for a nearly finished blanket. But you have inspired me not to give up!!! I love the colours of your blanket. Breathtaking! love it! Thank you for the inspiration! I love them both, they're fabulous! Is all of the yarn wool? It is just gorgeous! !